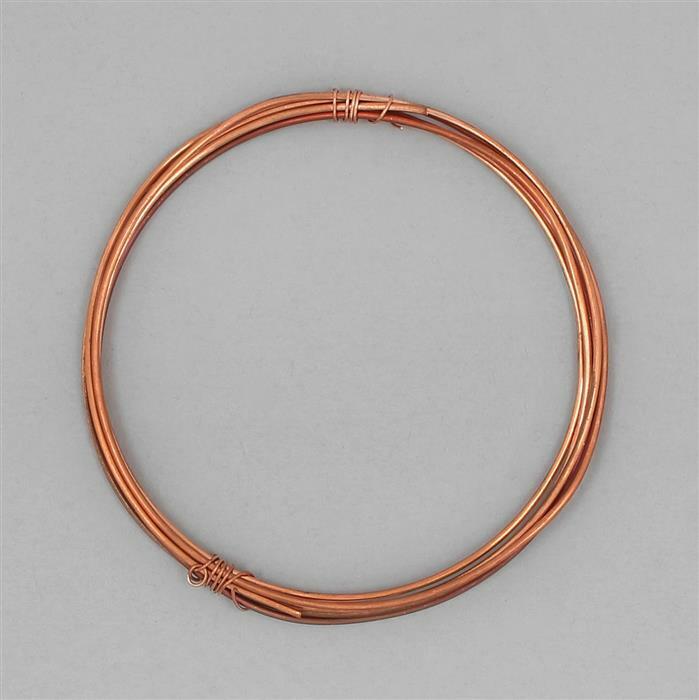 This solid, raw or bare copper wire is known for its lovely warm hue and soft, supple strength. The copper is naturally bright and shiny, without plating or coating, however, it can be oxidised to create an antiqued, aged, vintage look. One of the thickest gauges of wire in our range, this 1.5mm Raw Copper Wire on a 1.5 metre reel is incredibly strong is particularly suitable for more heavily-weighted pieces. It is ideal for chunky, bold designs, such as bangles and clasps and also makes a great base or support framework for finer wire detail.